As marketers, we know that there are a million things we could be working on at any given time: e-books, white papers, blog posts, webinars, paid advertising, e-mail marketing. They’re all important, but part of running a successful business is about putting your focus on the highest-leverage activities. That’s the stuff that brings you the most bang for your buck — the stuff that helps you justify the ROI of your job to your boss. One of the highest leverage activities you can spend your time on is optimizing your SEO. If you can get even one of your blog posts ranked at the top of Google for a broad keyword, it could drive thousands more visitors to your site every month. And if you’ve got the rest of your sales funnel in place, then those thousands of visitors could add up to some significant ROI. 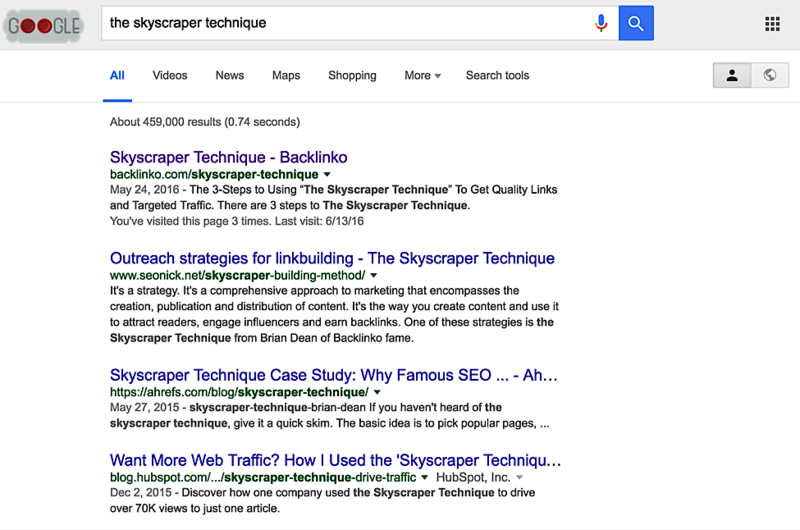 In this post, we’ll cover 20 tactics you can use to boost your SEO rankings. The best, most efficient way to make your content stand out isn’t by reinventing the wheel — it’s by building a better version of what has already been proven to work. Instead of trying to create an epic 10x piece of content from scratch, look for the blog posts or videos that already perform well within your niche and build on it. Brian Dean from Backlinko calls this the Skyscraper Technique. 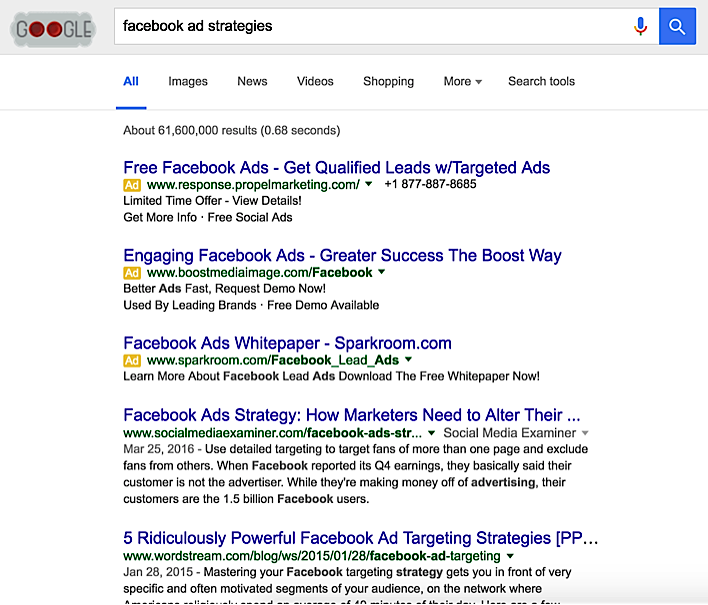 For example, let’s say I wanted to write an article for a new marketing blog about Facebook ads. First, I’d do some research to figure out which blog posts about Facebook ads have a track record of generating a lot of links. There are a few ways to do this. I could go on Google, type in a broad search term, and see what ranks near the top. 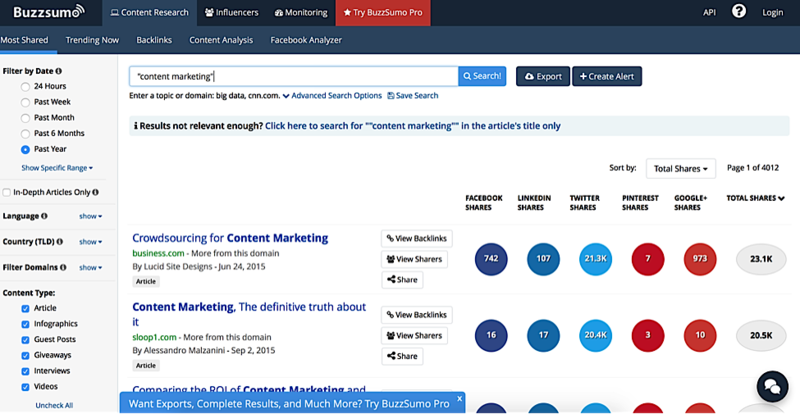 Or I could type a broad search term into a tool like BuzzSumo and immediately get a list of highly shared content related to my topic. Next, I’d pick one of those successful pieces of content, and build on it. Another way to improve on existing content is by making it more visually appealing. For example, this post on Pardot.com ranks at the top of Google for the search term “buyer journey,” mainly because of how the post is designed. According to Brian Dean, by taking a post that is already proven and building on it, you drastically reduce the likelihood that your content falls flat because you’re writing content that has already worked. An important factor for getting a post to rank high in the search results is having a lot of other influential people link back to it. One easy way to do this is by mentioning your industry’s influencers in your content. When other people see their name mentioned somewhere on the Internet, they’re much more inclined to share the piece on their own social media, blogs or newsletters. And because industry influencers usually have large audiences, that means more targeted traffic back to your site. 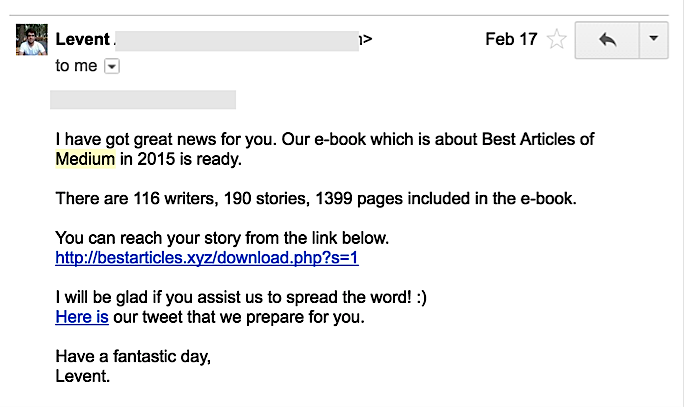 A simple e-mail like this sent to the right influencer could be the “tipping point” that makes your content go viral. In fact, according to Blogging Wizard, with the right approach you can get up to an 80% response rate from the top influencers in your industry. We all have pages on our blog that perform really well in search, and others that fall on page three, four, or even lower. And the frustrating thing is that some of our low-ranked content may contain amazing material. If only those poor blog posts could get a little push — like a share from an influencer or several more backlinks — they might go viral or rank at the top of SERPs. One way to give the poor-ranking content a push is by finding the posts on your site that rank higher in Google and adding links within them to the pages that rank lower. Within this post, they link to multiple articles on their blog about topics like list purchasing and developing a social media content calendar — neither of which rank as high. This is a great way to give some of your lower ranked content the boost they need to get to the top. Free Bonus Download: Want to download the PDF version of this post? Get your very own copy of it right here! Click here to download it free. The best content is the kind that speaks to people’s emotions. Marketers who are able to connect with their audience can build a large audience of loyal readers relatively quickly. Make sure you understand your market’s deepest hopes, fears and dreams around the subject about which you’re writing. Once you have a good grasp on this, you can weave it into your blog posts to show your audience that you really “get” them. 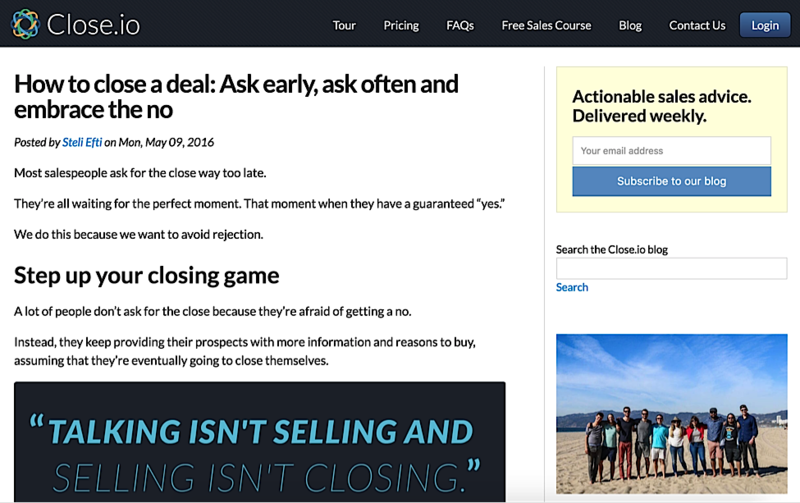 Steli Efti at Close.io, a SaaS product to help salespeople close more deals, does this really well. Salespeople have a lot of hopes and fears around their job. For example, they might feel afraid of coming off as too “sleazy” or too fake. They might be afraid of hearing a bunch of “no” responses from leads. Or maybe they feel like they have no idea what they’re doing. 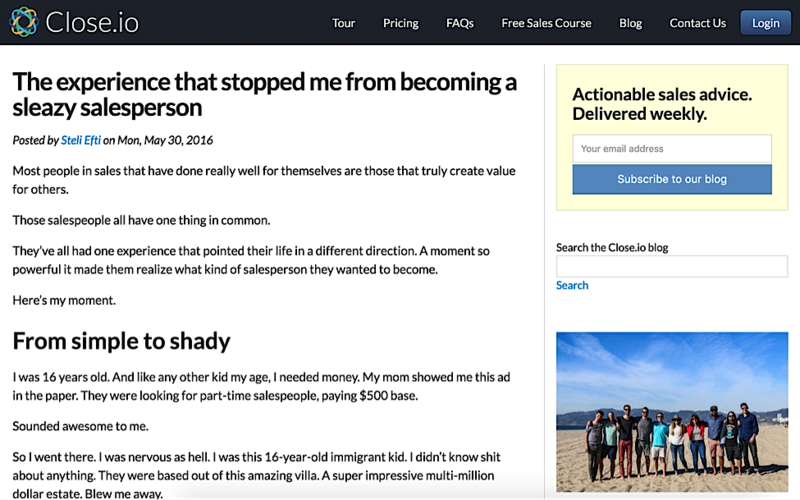 Because their content tells emotionally captivating stories that really “hit the spot” for their audience, Close.io’s blog has quickly become one of the go-to resources for salespeople. Another great example is the Copy Hackers blog. Their content has a lot of personality infused into each post, which helps set the content apart from all the other marketing posts on the web. Businesses in virtually every industry can incorporate great storytelling and personality into their content if they understand their customers at a deep level. Even Pfizer was able to boost sales using this approach, according to this article by Cognitive Edge. There are always a bunch of new SEO tactics popping up all the time, but at the end of the day, the best way to have your content reach more people is simply by writing stuff that they actually want to read! And one great way to do that is by writing posts that are fun and/or informative and appeal to the readers’ emotions. Writing long-form content consistently takes a lot of effort. So before you start climbing that mountain, it’s important to ensure that you’re writing content for which people are actually searching. 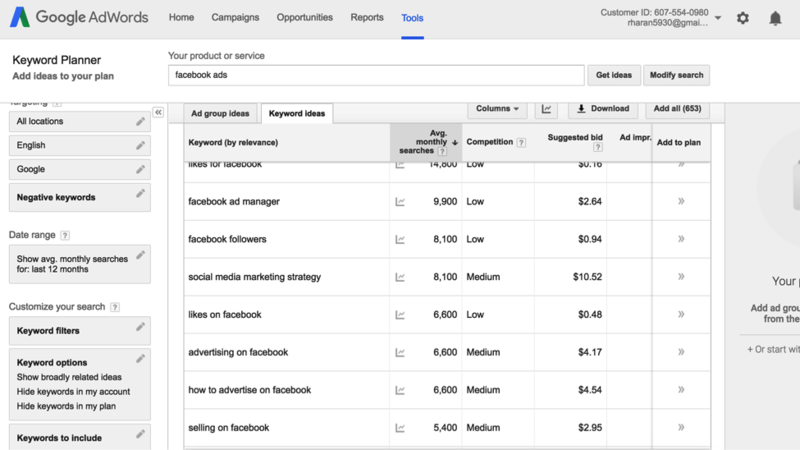 One easy way to do this is by using the Keyword Planner on Google AdWords. 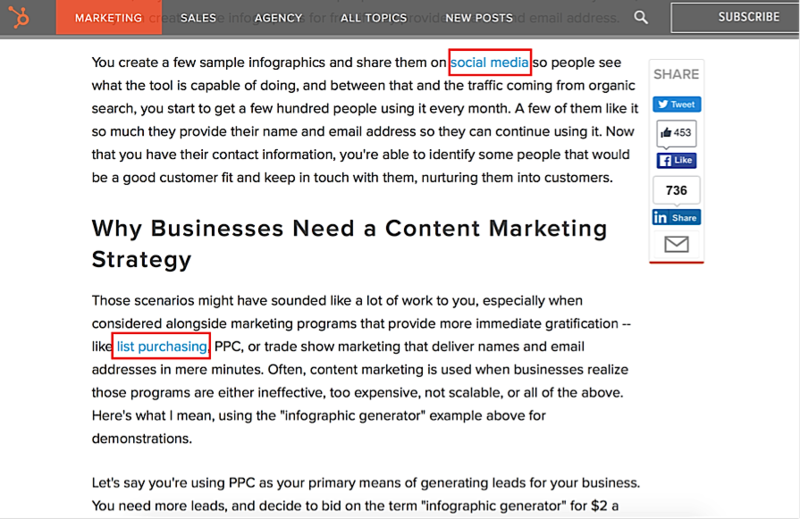 It’s easy to see how many people are searching for a particular keyword, and you can even uncover related keywords to base your articles around. Another great tool for gauging the number of search results for a particular topic is Google Trends, where you can uncover search trends over time for keywords to see if they’re worth pursuing. 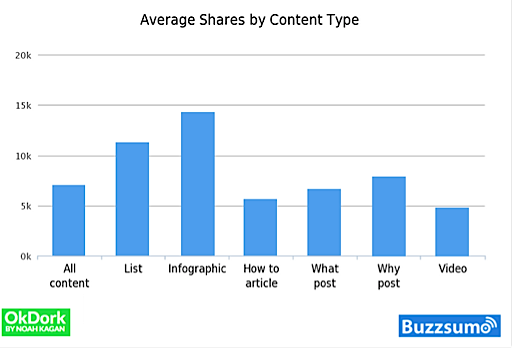 Or you could use BuzzSumo to see the number of shares that certain types of content get and which keywords are getting a high rate of shares. Moz has a great guide on how to do keyword research for SEO, including how to judge the value of a keyword and understanding how to use long tail keywords. By creating remarkable, long-form content around keywords that have a high search volume, you make it easier for your blog posts to rank high for a topic and generate a lot of traffic to your website. Broken link building is one of the most effective white hat strategies you can use to grow your SEO rankings. 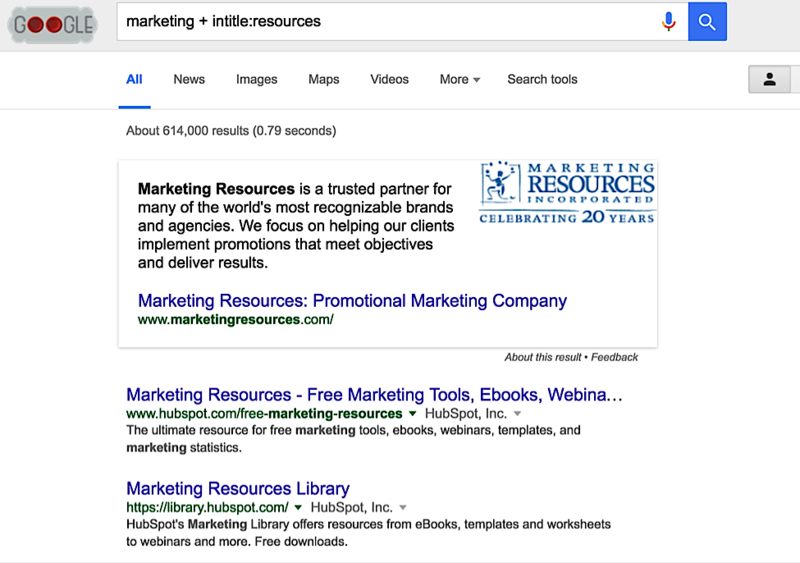 For example, you can type in “marketing + intitle:resources” to find posts that are filled with a bunch of links. Next, you’ll have to scour the page to find the broken links. 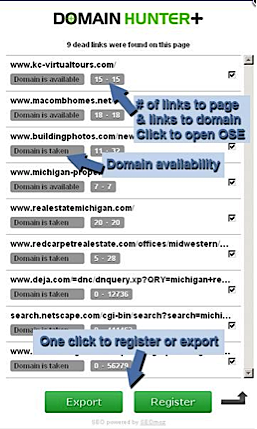 An easy way to do this is by downloading a Chrome plugin called Domain Hunter Plus, which scans pages for dead links. Once you activate the plugin for a particular page, you’ll get a list of dead links on that page. You can then export the list of links, send it to the site owner, and ask to replace the dead links with your own resources. Relying on standalone blog posts to drive your SEO rankings is a losing battle. A few individual pieces of content might appear high up on the search results, but there are better ways to get more mileage out of your blog posts. One tried-and-true way is the hub and spoke strategy. Through this approach, you create one giant piece of content to function as the page that people land on directly from Google (your “hub”), and from that page, you link to a bunch of other relevant pages on your website (the “spokes”). Your hub should be something that’s highly shareable, like a meaty post that people bookmark because of how informative it is and how many useful resources it contains. This way, your hub will rise in SEO rankings, and as a result your “spokes” will rise as well. 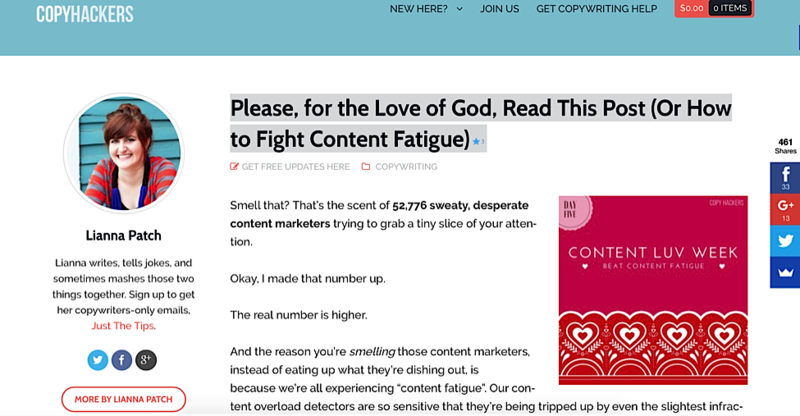 Copyblogger created a page called “Email Marketing: How to Push Send and Grow Your Business,” and within it, they’ve included supporting posts like “Why Vanity Metrics Are Worthless (and What Really Matters),” “37 Tips for Writing Emails that Get Opened, Read, and Clicked,” and more. By creating a hub, or a “table of contents”-style guide around a topic in your niche that people can consistently refer to, you’re creating a larger piece of content that will rise higher and higher in search rankings. And as a result, the content you link to within your hub will rise higher and higher as well. As I mentioned earlier, mentioning industry influencers in your content is a great way to help your content get more shares. And roundup posts are an efficient way to do this on a larger scale. 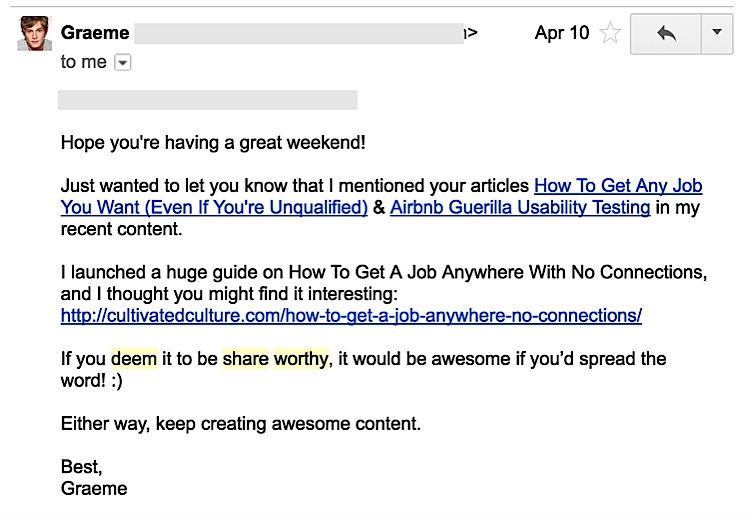 In a roundup, you curate posts from experts in your niche and share them with your own readers. This tactic is an easy method to build relationships with the right people in your field, generate a bunch of traffic, and improve your SEO rankings. Once you’ve sourced a long list of high-quality links around a topic that your audience wants to know more about, you can ask each influencer to share the post with their own audience. I ended up sharing it with my list of 20,000+ readers. Free Bonus Download: Want to download the PDF version of this post?Get your very own copy of it right here! Click here to download it free. Long-tail keywords are keywords that are more specific and “narrow” than broader short tail keywords. For example, “facebook advertising” is very broad search term, but “facebook advertising for SaaS companies” is much more specific. It’s natural to create content focused on broad, short tail keywords. We think that because there are a lot of people searching for these more general phrases, we should take take advantage of that. But in reality, creating remarkable content that is focused on long-tail keywords can boost your conversions. Even though you would be going after a smaller pie, you would dominate a much larger piece of it. For more on how to identify and leverage long-tail keywords for SEO, see this guide: How to Identify Long Tail Keywords for Your SEO Campaign. Whatever strategy you’re pursuing — whether it’s Facebook ads, SEO or anything else — the main point is to drive more prospects along the buyer’s journey to becoming customers. That’s the main goal of content marketing. 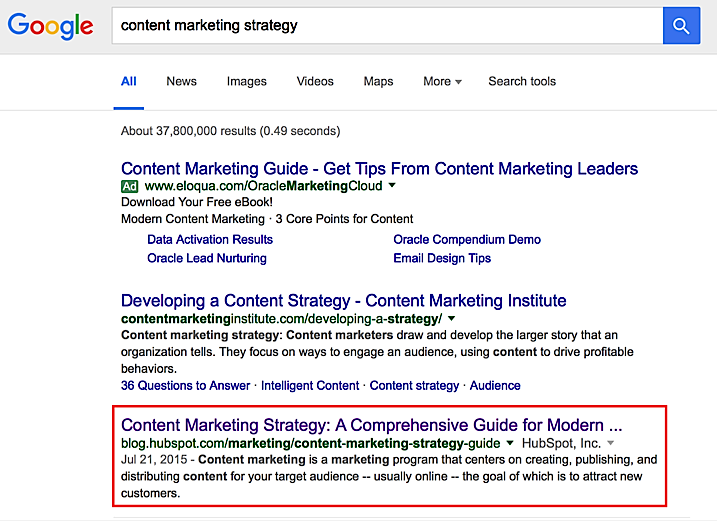 SEO works best when it’s part of that larger content marketing strategy. By creating high-quality content to serve customers at each step of the process, you’ll naturally rank higher in search results while also generating more sales. At the awareness stage, customers are usually conscious that they have a problem, but they have no idea what the right solution looks like. At this stage, 72% of people immediately turn to Google to figure out how to solve their problems. They search for content that hits their specific pain points. If you’re selling marketing services, a good piece of content to write might be something like “How to Speed Up Your Content Marketing Success.” This way, when customers search for their problem, your blog will be the first one they see. An example of how HubSpot attracts customers who are in the “awareness” stage. As potential customers start to gather more information about their problem, they look for ways to solve it in the “interest” phase. At this stage, evidence-based content starts to become a lot more valuable to them. According to Crystal Clear Communications, 30% of buyers consult white papers at this stage of the process, 29% consult case studies, and 30% of buyer influencers look to detailed technology guides. You can present these guides at the bottom of your blog posts and ask readers to fill out their e-mail address in order to receive them. This way, you help people transition from the “awareness” phase to the “interest” phase, and you capture their e-mail addresses so that you can send them more content down the road. 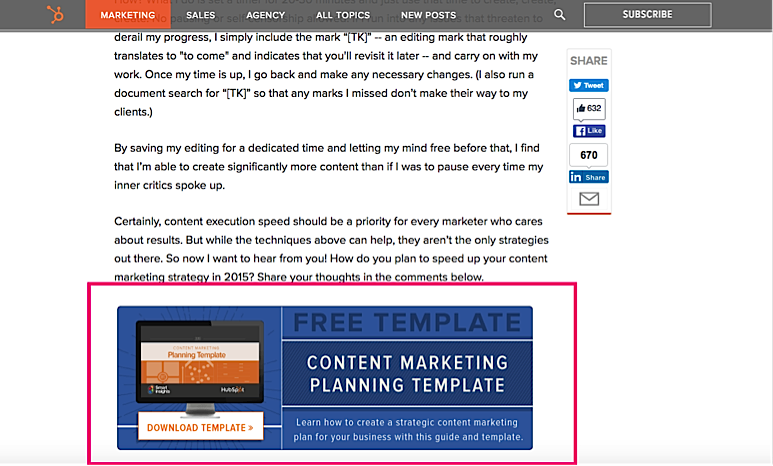 And at the bottom of that post, site visitors can sign up to get a free content strategy planning guide. 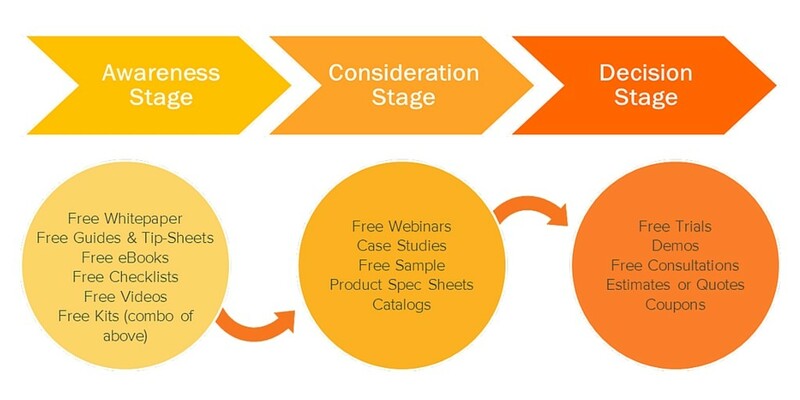 Only after customers have done their research and figured out how to go about solving their problem are they ready to start thinking about purchase options in the “evaluation” phase. At this stage, they’re trying to decide which service to buy. Good content here might be something like “4 Steps to Picking a Good Marketing Agency,” “Why Some Marketing Agencies Don’t Get Good Results” or something else along those lines. And in these posts, you can strategically position yourself against your competition by “teaching” your audience why you’re better. Understanding what your customers are searching for at each step of the journey is super important — that way, you can create highly ranked content to help them along the way. There are a few specific metrics that you can track to measure your overall SEO performance. For example, one key metric for SEO is the average time that users spend on your content page. If your content is engaging, if it appeals to their emotions, if it’s useful, then readers will stay on the page longer in order to read more of your material. For more on the right metrics to track for your SEO, check out this post by Neil Patel: Quantify Your Results: The 14 Most Important Content Marketing Metrics. If your website does not provide quality content, visitors will “bounce” off the page and “boomerang” to a competitor’s site. Keep in mind that there’s no specific number here that can be considered “good” or “bad.” If you’re writing short-form content, for example, then you’re naturally going to have a low average time on your site. Or if you offer a great answer to a reader’s question, you might have a high bounce rate but also a high time on your site. The number of return visitors is also a good metric to gauge how good your content is. How many readers come back to your site on a regular basis? 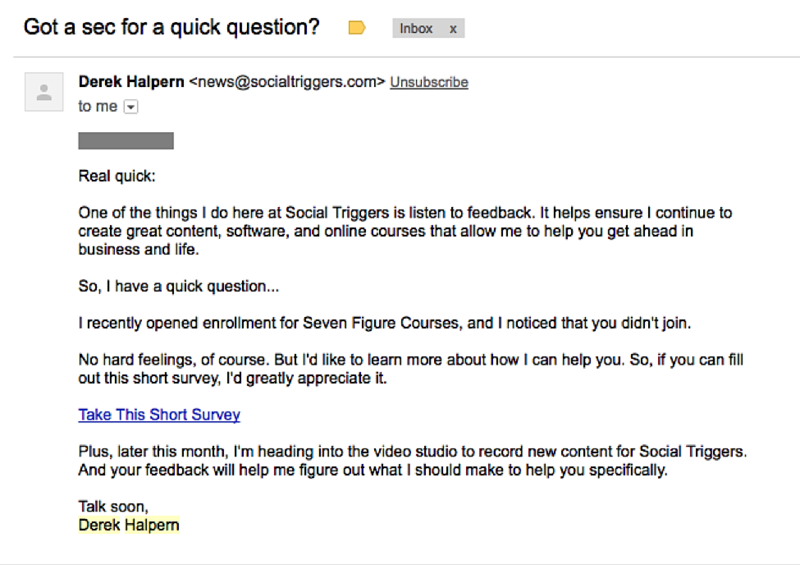 If you’re sending e-mails to your subscription list regularly, how many people consistently open and click? This is one of the most useful metrics that you can measure since return visitors are usually the most likely to convert to buyers. There are a lot of benefits you can get from associating yourself with experts in your industry. One of the best ways to leverage that association is by interviewing these experts and repurposing the content into a blog post. That way, you can rank high for the expert’s name and siphon off a large audience that searches for them. 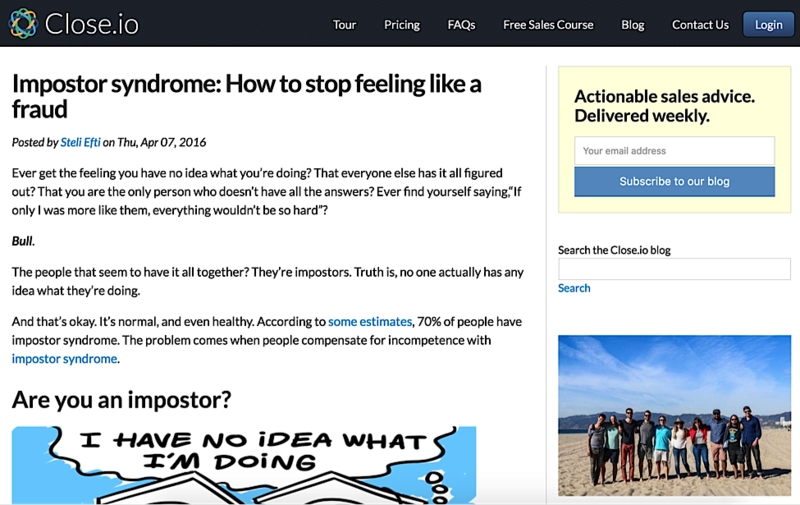 For example, Groove did an interview with Neil Patel and repurposed it into a blog post. Now when anyone searches “Neil Patel interview,” Groove shows up at the top of the results. By interviewing influencers in your industry and turning it into a blog post, you can attract a chunk of that influencer’s audience to your own site through Google search. Part of maximizing the effectiveness of your content marketing is repurposing your material as much as you can. This could skyrocket the reach of each post that you write. Let’s say you published a blog post called “How to Leverage Influencers in Your Content Marketing.” There are tons of different formats into which you can repurpose this content to attract a wider audience. For starters, you could take that content and make it native for different blogging platforms like Quora, Medium or LinkedIn — which allow anyone to reach a targeted audience of tens of thousands of people if the content is good. 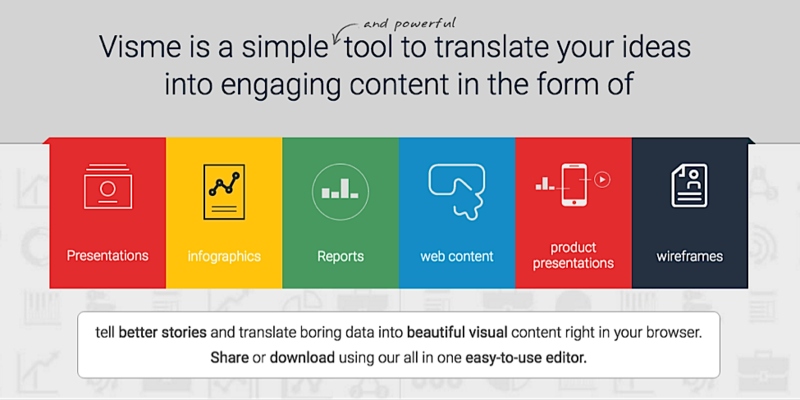 Then, using a tool like Visme, you can take that blog post and turn it into infographic. Noah Kagan found from analyzing 100 million articles that infographics get shared the most out of all types of content. This means that an infographic could potentially get more than double the reach of a single blog post, which makes it more likely to rank higher in search. Then you could take the blog post and infographic and combine them into a compelling SlideShare presentation. If you have a podcast, you could summarize the key points of the blog post in a quick 10-minute audio segment. With a simple, structured system, you could skyrocket the reach of each piece of content you put out by making it “native” to several other platforms simultaneously, thereby increasing the likelihood that the content will rank high in SERPs. 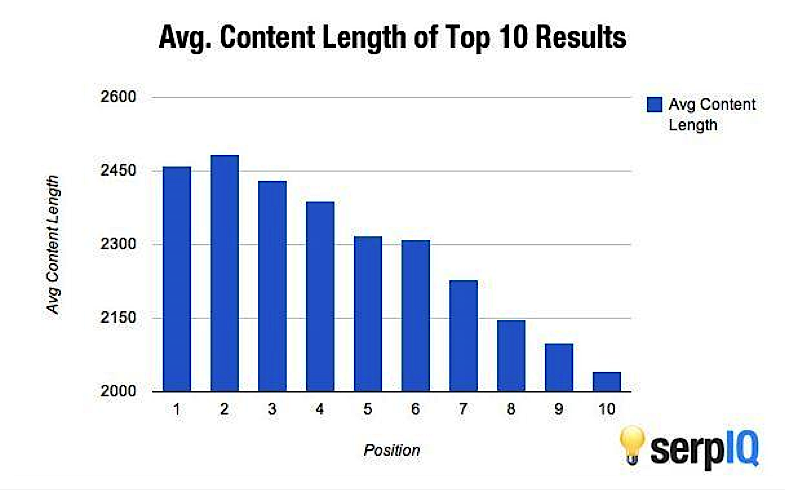 A simple way to get more reach on your content is just to increase its length. Longer-form posts are more comprehensive, get shared more frequently, and lead to lower bounce rates — which is why they tend to be ranked higher on Google. According to serpIQ, average length of posts at the top positions on Google are 2450+ words. Not only does this help with SEO, but more time spent on your page means you’d be cultivating more trust between you and your audience. Content that’s visually appealing allows readers to digest a larger amount of information in a shorter period of time. It’s much easier to look at a graph or an infographic that’s well designed than a huge 5,000-word blog post — and as a result, it’s more likely to get shared. You don’t need to be a design whiz to create content that’s visually appealing either. You could use a tool like Snapguide to create beautiful how-to guides, for example. Written content is still very important, but the way the content is presented is also important. The more visual, the better. According to Commonplaces Interactive, both Google and Bing have reported higher search traffic coming from mobile devices than computers. That’s why these search engines boost content in search rankings that are mobile friendly. If you’re not sure whether your site is mobile friendly or not, you can just insert the URL into Google’s Mobile Friendly site analyzer. The easiest way to make sure that your site doesn’t get penalized in search results for this is by making it responsive. That way, it will “respond” to the device on which it’s being viewed, and won’t encounter any problems on any mobile devices. By writing original blog posts on major media outlets, you can get a lot more exposure to your own site. 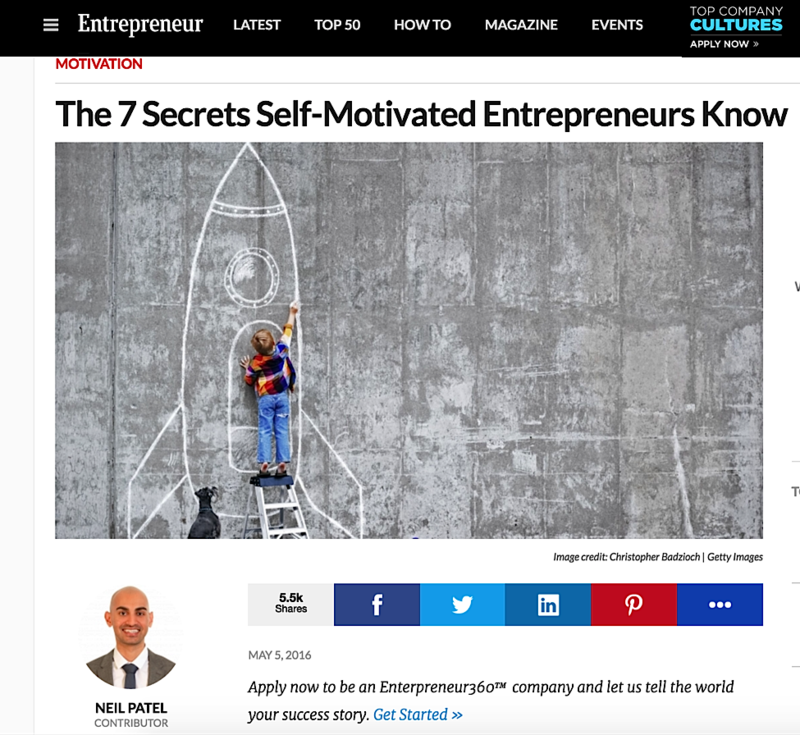 For example, Neil Patel wrote a guest post on Entrepreneur.com. Within the post, he included multiple links back to his own blog, Quicksprout. One thing you might want to be wary of is reposting content from your blog to a major media outlet. Although the exposure would be good, Google penalizes duplicate content in search results. But writing original content for major sites could help build your credibility as well as get more backlinks to your blog. For more on this, check out How to Pitch a Guest Post to Editors at 104 Major Publications by Jon Morrow. 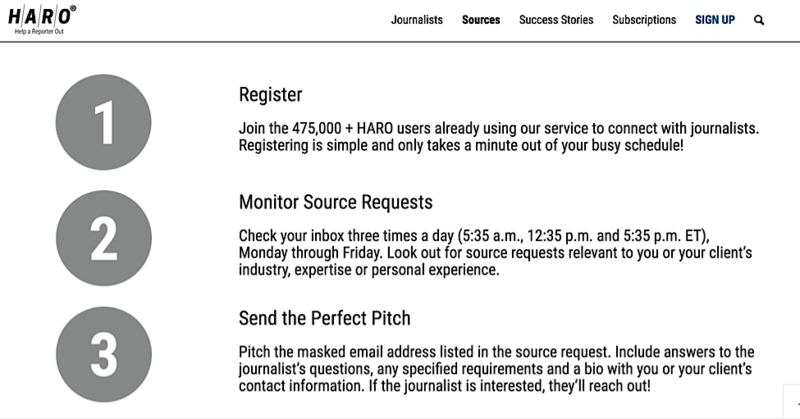 Another quick way to get more backlinks for your blog is by using a service called Help a Reporter Out (HARO). This site is aimed at the tons of journalists out there who are writing stories on various topics and need quotes from experts. When you sign up for HARO, you’ll get notified every time a journalist who is writing about a topic in your field needs a quote. Then you can send in a quick pitch offering a quote along with your business name and website URL. This is a great way to get your name and blog on a news media site without having to write a unique guest post. If you deeply understand your audience’s emotional experience at each stage of the buyer’s journey, you can consistently create high-quality content that not only sits at the top of Google’s SERP, but also drives sales. The best part is that it’s actually really easy to understand your audience’s emotional pain points. I get hundreds of “marketing” e-mails everyday from random companies that are just a pain to sort through. I want to be different. I want to send you e-mails that you actually look forward to reading. So to make sure that I send you the best possible content, I wanted to ask you a quick question… What’s the #1 barrier that’s keeping you from [whatever success you’re trying to help them achieve]? Just “hit reply” to this e-mail and let me know. I read every response. You’d be surprised at how many people pour out their life story in response to that, which helps you to know exactly what’s going through their mind. This way, you’ll know exactly how to create the right type of content that resonates at a deep level with your readers, gets shared, and ends up ranking high in the search pages. This isn’t easy to do, but if you can do it, you’ll skyrocket the reach of your blog. People who invent terminology that catches on in their industry can really boost their SEO rankings. For example, Brian Dean of Backlinko invented what he calls the Skyscraper Technique, which is a unique approach to creating content. Now when anyone searches “skyscraper technique” on Google, his name is all over the web on multiple different sites. To invent your own term, you don’t need to create some crazy new breakthrough idea in your industry. All you need to do is take existing points of view that are already out there, “repackage” them, and make them your own. 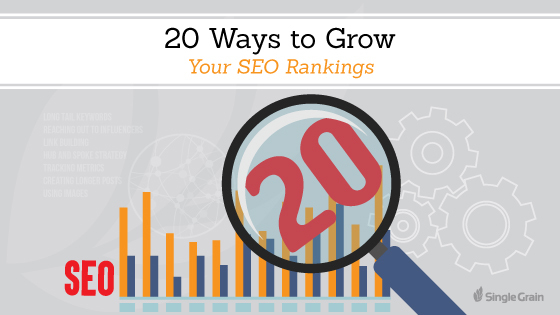 So there you have it — 20 ways to boost your SEO rankings! As marketers, there are a lot of tactics out there that we could potentially focus on. But those who get world-class results get them by focusing on high-leverage activities that deliver real long term results. Now I want to hear from you. What other SEO tips would you recommend? Leave a comment below!